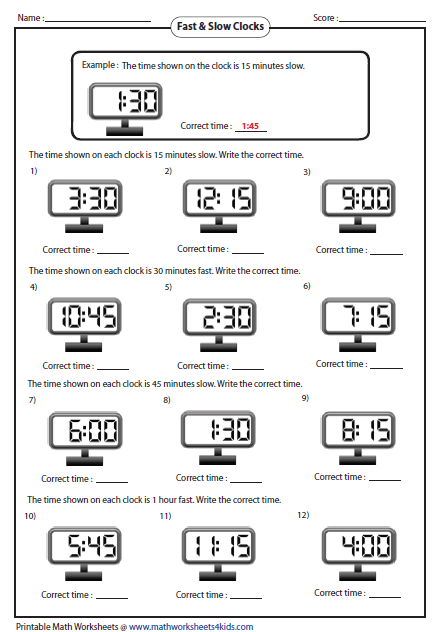 This page contains more than 80 printable worksheets to practice elapsed time. It also contains finding start time and end time; finding elapsed time from analog and digital clock; fast clock and slow clock. 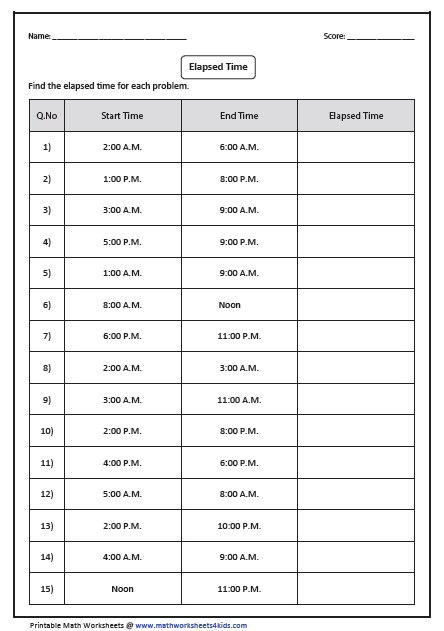 The table has start time at one column and end time at another column. 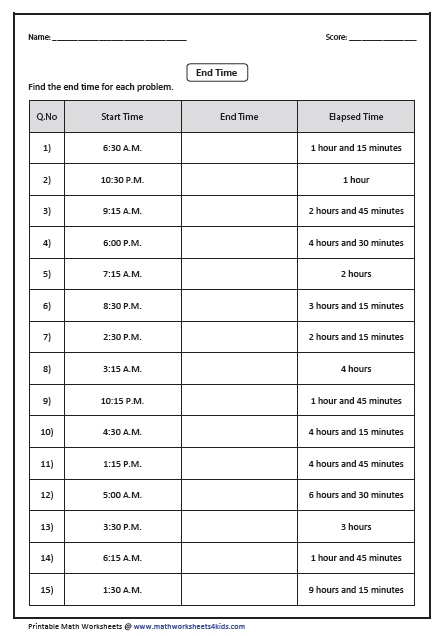 Find the elapsed time to complete the table. 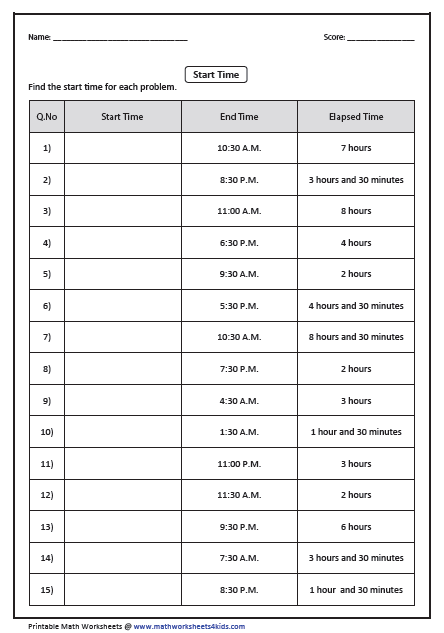 To find start time, count backwards from the end time. Each worksheet has 15 practice questions. 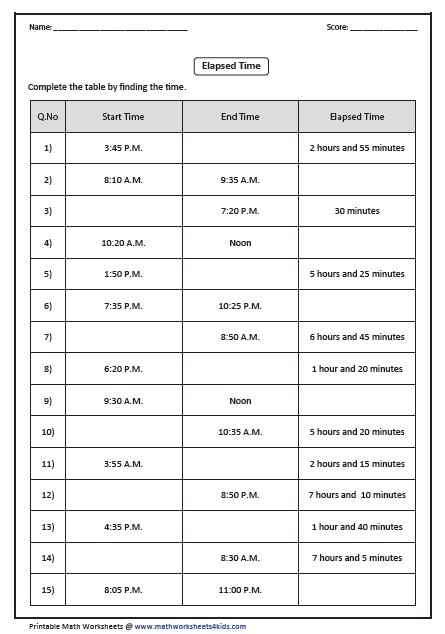 To find end time, add elapsed time with start time. Each worksheet has 15 problems. 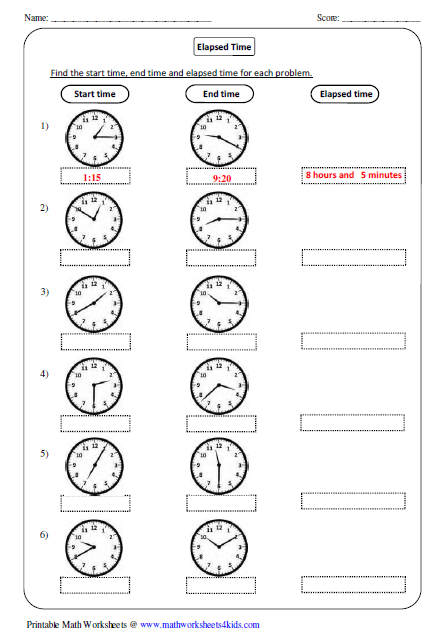 Time worksheets contain mixed review practice on start time, end time and elapsed time. You have two clocks in each problem, one showing the start time and another showing the end time. Write the time shown on both clocks and compute the elapsed time. 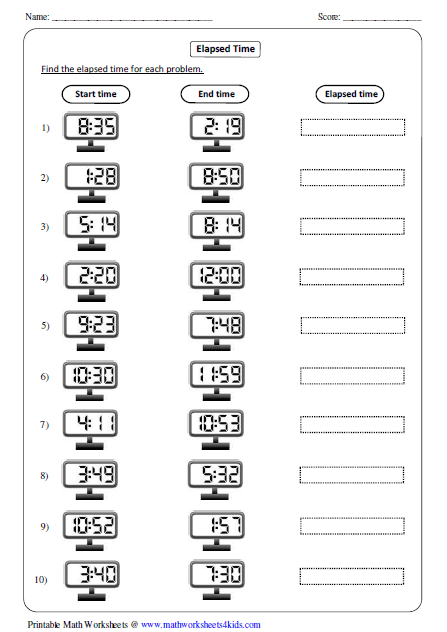 Find the elapsed time by comparing the start and end time of the digital clocks. Each clock is either fast or slow. Find the correct time.